After Hours: Please call 270-667-7017 for our answering service . 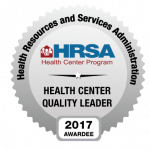 We work hard to make sure your experience with Health First CHC is good. If you would like to comment on your care, or suggest a way we can serve you better please email us at healthfirstcares@hfchc.net.